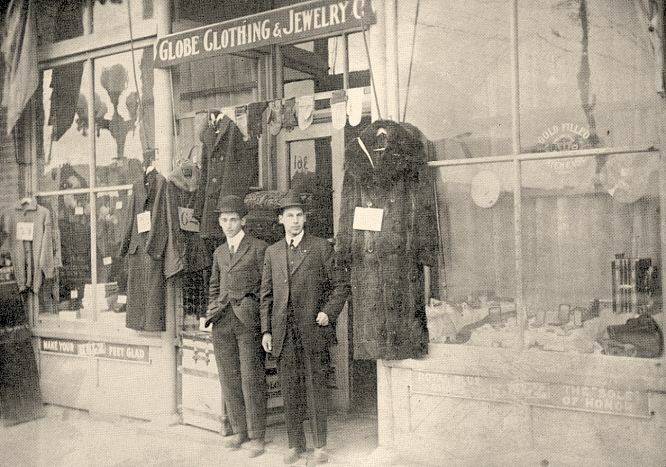 George Grossberg, Founder of the Golbe Clothing Co.
Now the site of Bert & Ernie's Dining Saloon & Grill on the SE corner of Main and Lawrence, Globe Clothing -- later "The Globe" -- operated from 1909 to 1984. The building was enlarged/remodeled several times, most notably in 1940 and again 1960, when the adjacent vacant Ideal Bakery space at 363 N. Main was incorporated. 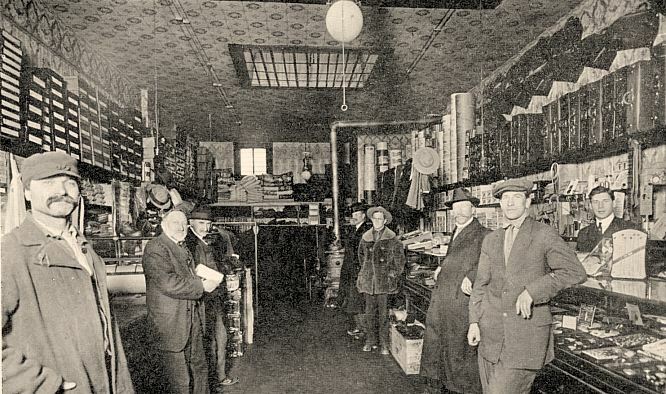 Interior of Globe Clothing & Jewelry, March 1913.